With added multi-master replication the problem of non-deterministic queries is solved. 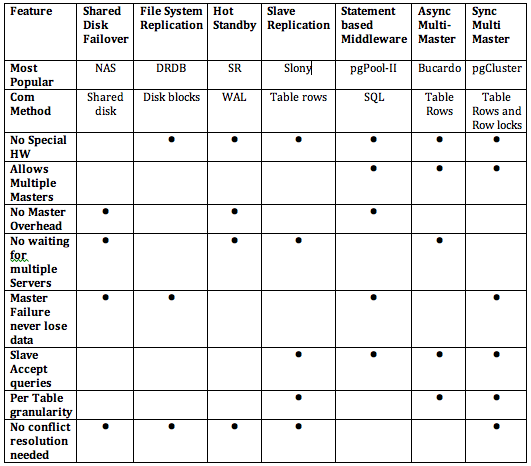 A good solution is a hybrid one, which would be to use PgPool-II with PostgreSQL built in streaming replication. This eliminates most problems with pgPool-II stand-alone version or SR standalone version and also ensures to a large degree ZERO downtime. Applications will connect to pgPool-II just like they are connecting to a postgreSQL instance and pgPool will automatically load balance the read queries. 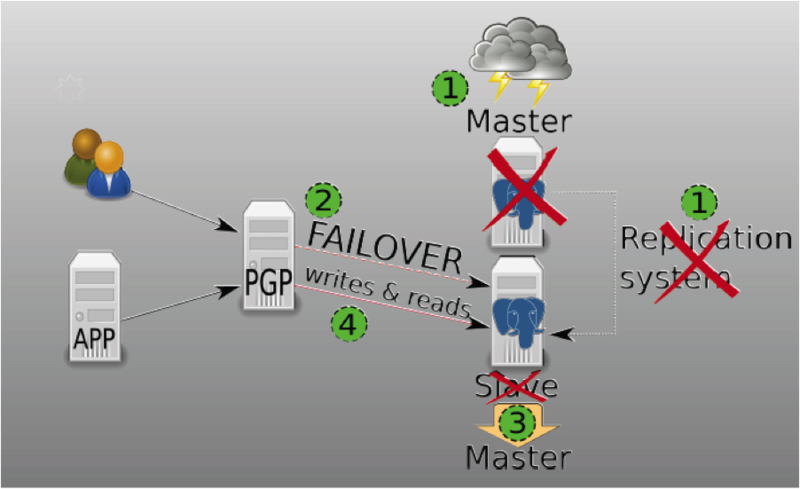 Writes will only be done to one server, if the master server goes down, the slave can take over almost immediately since it is setup as a Hot standby, and pgPool will automatically redirect reads and writes to the slave. The probem here could be that pgPool can be the single point of failure, we have an option of having 2 pgPool machines made high available using Linux HeartBeat. Another option if we don’t want to use two separate machines, is that we can put pgPool both on master and the slave, that will be a slightly complex configuration, but certainly possible to do.